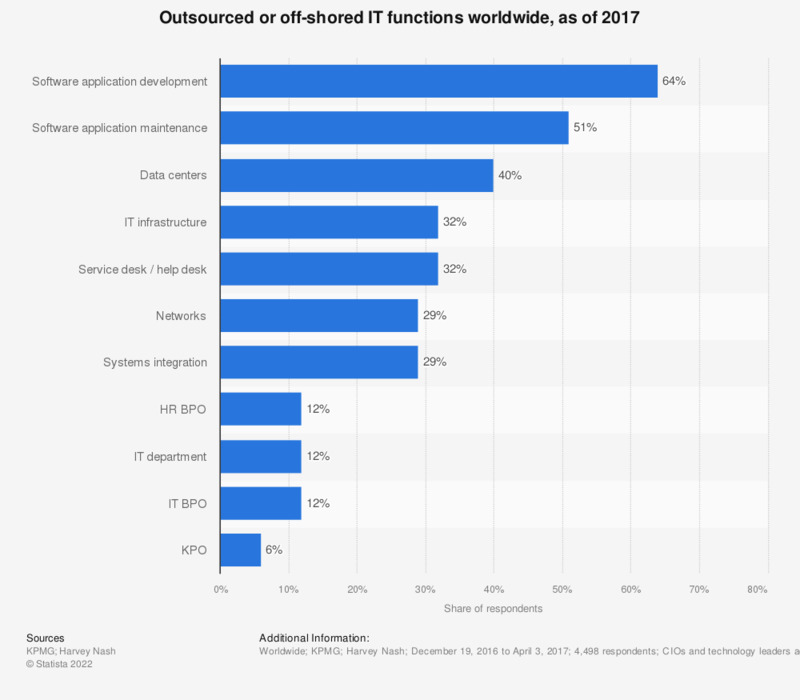 The statistic reveals the IT functions most commonly outsourced by IT leaders worldwide, as of 2017. In 2017, software application development was outsourced by 64 percent of respondents. The question was originally phrased by the source as follows: "What functions do you outsource or offshore?" Has your company set clear operational targets for its information and data (IT) management?